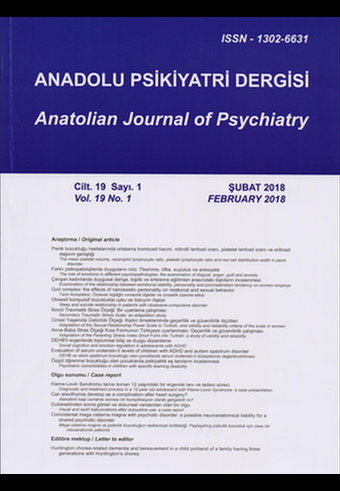 Anadolu Psikiyatri Dergisi - Anatolian Journal of Psychiatry (ISSN: 1302 -6631) is a regularly published quarterly peer reviewed scientific journal focusing on all aspects of psychiatry and related sciences. The journal is indexed in several major databases including Science Citation Index-Expanded and Journal Citation Reports-Science. SCI-E Impact Factor for 2016 is 0.206.